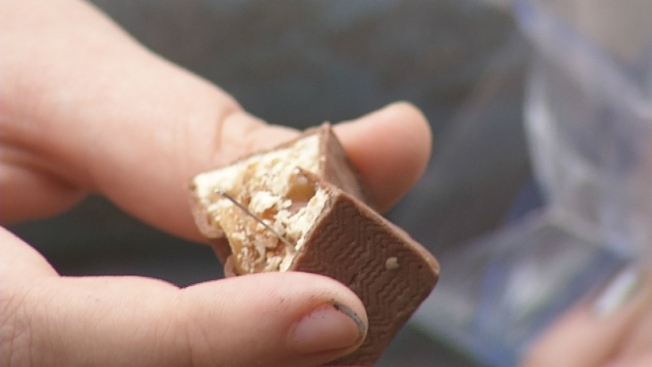 A Rhode Island family says they got more than chocolate and caramel in their Halloween candy. The DeBolds of West Warwick claim they opened a Snickers bar and found a needle. "I just opened it and there was a needle in it, and I was like, "Uh, dad," 13-year-old Madison tells necn affiliate WJAR. The family said they went trick-or-treating in a couple of neighborhoods in West Warwick, around Lexington Avenue and near the Greenbush School. Police Sgt. Jeff Petrarca says the department has not received any other complaints.